Andy is always one of my favorite speakers. This was an incredibly useful session and something that APA needs to push more. Presentations from utility companies are very helpful to planners. They handled some tough questions well. An excellent presentation all the way around. These folks have done a great job to expand regional bicycling facilities and promote bicycling to local youth. The information provided by the Virginia Office of Intermodal Planning and Investment to Virginia planning professionals during this session has proven to be completely wrong and, I suspect, may have been intentionally misleading. Six weeks after announcing that the UDA program would continue during this fiscal year, that funding to eligible localities was "definitely" available, and that the grant program would be announced later in the fall, my locality was recently notified that funding, in fact, was not available and that there would be no UDA Grant program in 2018. This begs a number of questions, not the least of which is why the state is announcing a grant to local government officials for transportation/land use planning and then rescinding that promise mere weeks later. Also, there is either funding available in the state budget for this purpose or there is not. If funds have been budgeted, what are they now being spent on, and if not, why did the state announce that there were? Finally, why would the state send a newly-hired, staff-level state official to speak in place of the higher-ups that actually make these decisions. Did they want that person to be the one to take the blame once those individuals later reversed themselves on the availability of funding? They need to step up, face the localities, and be the ones to deliver the news (good or bad) themselves. I know for a fact that these funds have been wasted in the past by certain localities that will remain nameless, localities that have used the money to develop UDA plans that were later never implemented (most likely there never were intended to be). Now I work for a locality that can actually utilize these funds to address the very real transportation issues that have arisen from rapid growth within a worsening (from a traffic perspective) regional transportation system. I am very disappointed in the inaccuracy of the information provided at this session and the APA for creating a platform for this. 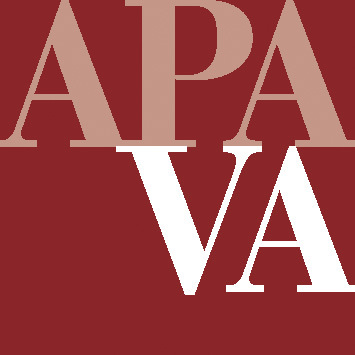 The APA needs to do a better job of vetting the speakers and, most importantly, the information they present at the annual conference so that this situation doesn't reoccur. The presenters were all very energetic. My only quibble is the tendency to try and cram too much material into 20 slides and then talk much too long. It's better to come with less material and more fun focus. Not much substantive material covered. The debate was fun. While not the focus, it would have been useful to spend 10 minutes on the main shopping street just steps away. Good to see Chad Tucker again. I worked for PWC/DOT at my previous job and it was interesting to see some of the projects they were submitting for Smart Scale evaluation. Many of the projects I was familiar with. The exercise was educational, seeing how folks addressed the problem differently. Innovative and modern approach for presenting planning issues. Very passionate presentation, plenary for VAPA conference. A little on the boring side. Restated things many planners already know about downtown. More an advertisement for his business. Good to know about his business, but not what I expected. This presentation emphasized to me the need to educate the public about the history of urban renewal and what we as planners can do help improve the places that have been so negatively effected by it and continue to be. Sadly, this presentation felt very "mailed in." There was little that was new. There was no depth to issues discussed. This was one of the best sessions that I've ever attended at a planning conference. All planners could benefit from this presentation because the lessons can be extended beyond issues of equity. I enjoyed the format. It was wild hearing everyone's views. This was my favorite session. The presentation - particularly the PowerPoint- was exceptional. This presentation was a great reminder of our roles as professional planners to be advocates for those who have been harmed by past policies and as a reminder that we have a great responsibility to plan responsibly. Didn't give me a whole lot that I didn't already know, but still somewhat interesting. Instead of such a great focus on numbers, maybe more anecdotal would have been appropriate, with data serving as accessory to the topic, much like the speaker from Marion. Some of it seemed rushed. Tough to get all the info within a couple mins. Probably a little more practice from the speakers and it would have went a little more smooth. These guys were spot-on with their analysis of "how to..." with a zoning rewrite. Since our locality experienced the same ups/downs. The presentation flowed nicely with good change in topics throughout. Little too much of a history lesson from Wayne. Some decent ideas. I thought there was going to be more collaboration amongst the audience. I guess I was misled by the description. This was one of my favorite discussions. Each speaker brought such a wealth of knowledge and insight. I enjoyed the discussion - especially how each speaker focused on a different side of the argument. My only comment is that, as a new grad, I was not necessarily "in the know" as I'm sure most of the planners we're about these issues. For this reason, I think, most of this discussion kind of went over my head. I was able to latch on to key subjects that I studied but only at a very high level. Maybe in the future a brief of the issues discussed in this format can be available for pre-conference research. Great format, encourages discussion among peers. Nice discussion between panel and audience.